Alex started out as a musician playing the piano at age 10, but soon realized that what he really loved was the technical and creative side of music, thus began his career as an audio engineer. He graduated from the University of Texas El Paso with a degree in Electrical Engineering in 1993, and later attended The Conservatory of Recording Arts and Sciences in Phoenix, Arizona. In 1996, Alex had the opportunity of working with the Mexican Singer / Songwriter Jesus Adrian Romero, and began his long relationship with Vastago Producciones. He was the Studio Manager and Sr. Engineer for the record label for twenty years. During this time, he worked with many talented artists, producers, and musicians, including: Marcela Gandara, Lilly Goodman, and Kiko Cibrian. In his 20 years with Vastago, he was also the Production Manager, Monitor and Front Of the House Engineer for Jesus Adrian, and other bands working with the label, having the opportunity to work in some of the most prestigious venues in North and South America. Since moving to Los Angeles in 2016, he has been working independently doing Broadcast Sound for companies like Estrella TV; and TV shows like: “Dante Night Show” , “Noches con Platanito” and “Los Premios de la Radio”, and is also an Audio Engineer and Consultant for numerous churches in the L.A. area like: River Church, Mariners Church, and Saddleback Church, among others. 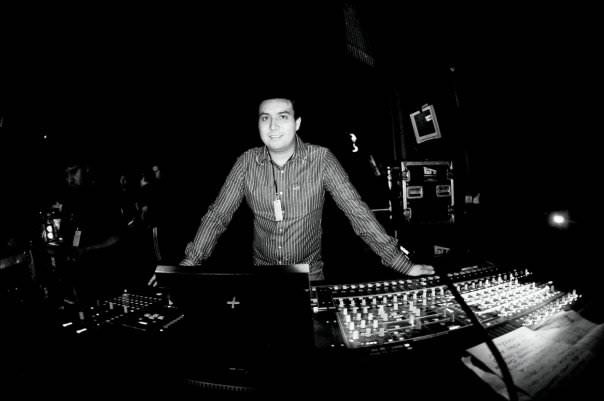 Alex is currently a Freelance Audio Engineer and Consultant based in Long Beach, CA. Below you will find a couple of the latest songs I have mixed. I was also recording engineer for most of them. A couple of my favorite pictures doing what I love.